Superdry men’s Classics Tokyo ringer t-shirt. Part of the Core range, this short sleeve t-shirt is made with four-way stretch technology, helping it to move with you as you work out. The t-shirt features a crew neck, Superdry Sport logo on the chest and further detailing on the reverse. 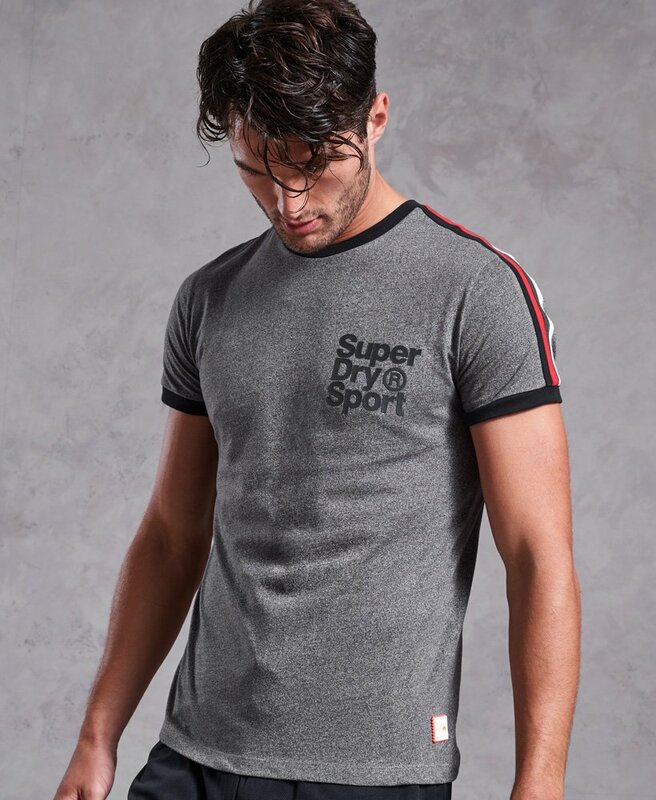 The Tokyo ringer t-shirt is finished with contrast stripe detailing on the shoulders and Superdry sport logo badge near the hem.